Irish Chimney Specialists provides customers with a comprehensive stove installation service. In recent years stoves have continued to grow in popularity as opposed to traditional open fires. Stoves are considered to be much more energy efficient and produce more heat. Due to this, stoves require a stainless steel chimney liner capable of withstanding these extreme heats. Irish Chimney Specialists provides an all-in-one service. We reline your old clay lined chimney system with sturdy stainless steel and we can install your new stove. This convenient stove fitting service is a time-efficient and cost-effective method of getting your new stove installed as quickly as possible – while not compromising on the quality of the installation. Do you need a quality stove installed? Then get in contact with Irish Chimney Specialists today. Back Boilers are an extremely convenient method of heating up multiple rooms and a way of providing hot water to an entire household. Back boilers are known for their cost efficiency when partnered with a stove. Irish Chimney Specialists extends their professional service to the installation of back boilers. Our highly trained and highly skilled tradesmen make every effort to limit the disruption to your household while the installation of the back boiler takes place. Coupled with our multitude of other services, we offer customers a one-stop shop for their chimney and home heating needs. 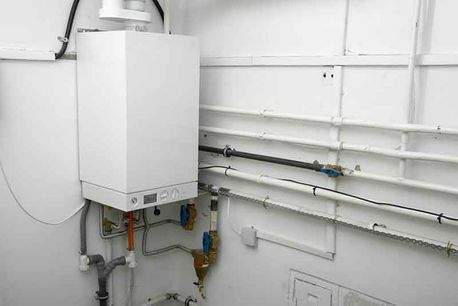 Do you require a back boiler installed in your property? Then get in contact with Irish Chimney Specialists today.